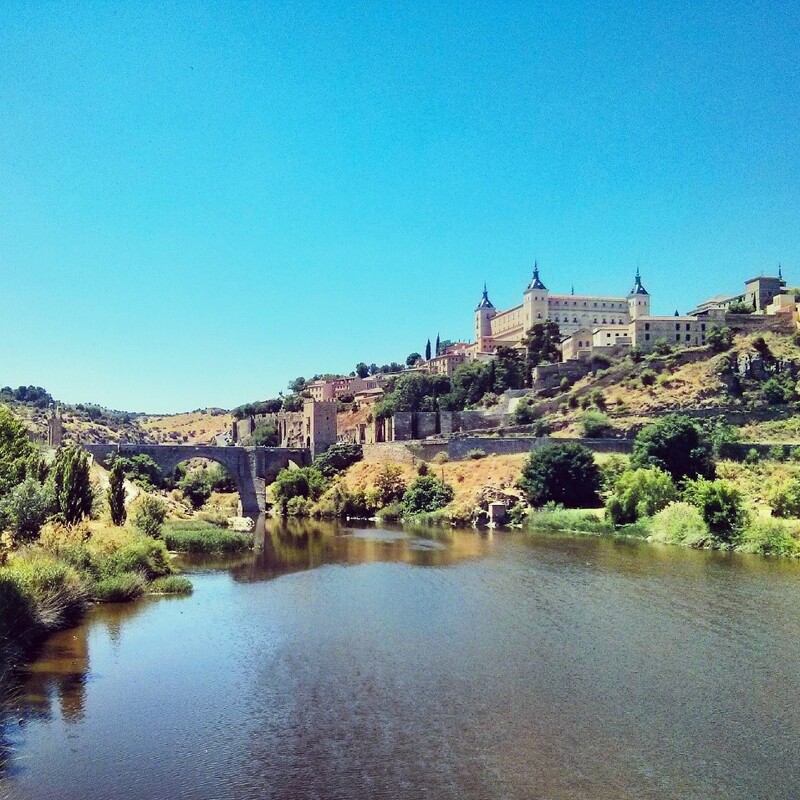 Toledo, Spain is a cultural gem. Upon entering the old town through the keyhole-shaped city gate, visitors will feel as though they have been transported back several centuries to a magical kingdom. Tucked away from the hustle and bustle of Madrid, its quaint medieval charms make the city a hot destination and a must-see for any traveler’s list of places to see in Spain. Toledo was named a UNESCO World Heritage City in 1986, adding this famed status to its already impressive achievements. With more than 2000 years of history, settled since 193 BC, Toledo has been influenced by Jews, Christians and Muslims, noted in the city’s architectural styles. The diverse city was a center for culture and religion for several centuries as well as an important art center during the Renaissance and was home to El Greco. Today, Toledo is the capital of the autonomous community of Castile-La Mancha and offers visitors a wealth of architecture, art, cuisine, and a glimpse into Spain’s colorful past. Arriving to Toledo is quite simple. Trains depart from Madrid’s Atocha rail station several times per day and the journey is half an hour. Alternatively, buses to Toledo leave Madrid’s Plaza Elliptical every half hour on weekdays and the journey is one hour. Upon arriving to either station, both of which are situated on the edge of town, it is a fifteen to twenty-minute walk uphill into the heart of the old town. Taxis are available for those who wish to avoid the climb. While crossing the river into the city, look to the left for a magnificent view of the city, walls, and bridge, a view that conjures up images of centuries-ago life. The first thing to notice is the way the city is built on a hill. The sand-colored stone buildings give the city the appearance of blending into the hill. While climbing up, you can weave through the narrow stone streets to get a close up view of apartment life and local businesses. Toledo truly understands its visitors and knows how easy it can be to lose oneself in the maze of streets, and colorful signs will point you in the direction of all the major cultural attractions. It is worth your while to put aside the map for a while and just wander around, taking in the medieval architecture and cloth-covered streets. 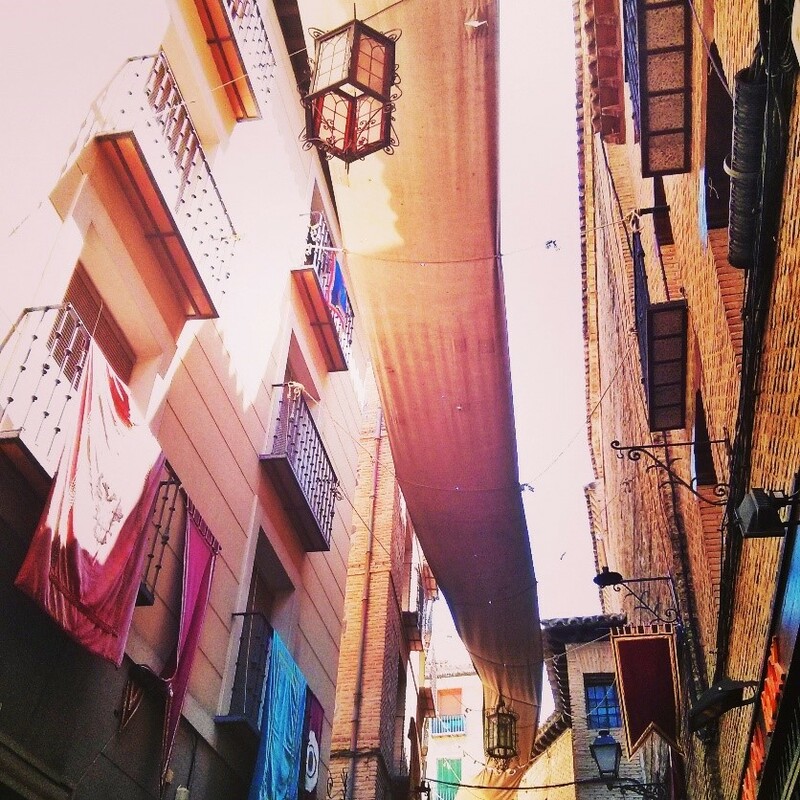 Toledo has several fascinating attractions that display its fortitude, religious history and artistic masterminds. The Alcazar, located on the eastern edge of the old town, and the highest point in the city, was once a third century Roman palace and is now a military museum displaying historic armor and weapons. The cathedral, standing tall in the center of town, was begun in 1226 and is an example of the Gothic style. Plaza Zocódover, adorned with colorful flags, is a popular meeting place with bars, cafés and outdoor seating. The Jewish synagogue, Sinagoga del Tránsito, was built in 1355 and boasts intricate carvings in its massive prayer hall. The Franciscan monastery San Juan de los Reyes is located in the Jewish quarter on the west side of town and was built by monarchs Isabel and Fernando in the 15th century. Finally, for a glimpse of Muslim history, head over to the Mesquita del Cristo de la Luz, the last remaining mosque in Toledo. Toledo is an important city because of its artistic contributions during the Renaissance, and 2014 is an important year because it marks the 400 year anniversary of El Greco’s death. This year, the Year of El Greco, the city is full of art exhibits and special shows including live performances in the streets. Many of his paintings are on display in the sites they were intended for, such as the Sacristy of the Cathedral, Talavera Hospital, Convent of Santo Domingo el Antiguo, the Church of Santo Tomé and the Chapel of San José. One of the top upcoming exhibits is El Greco Arts and Crafts, held in the Santa Cruz Museum from September 8 to December 9, 2014. The Museo del Greco is open throughout the year and is closed on Mondays. From several places in the city there are vantage points from which the surrounding landscapes can be seen. One of them is on Paseo San Cristobal and another is on Calle GI Moscardo. Looking down toward the river, you can see the medieval bridges. At some point during your visit, go down to one of the bridges for majestic photo opportunities of the bridge, river, and city. The downhill and uphill climbing can be quite tiring, especially in summer. Upon crossing the bridge on Ronda Juanelo, a water fountain can be found on the other side and toward the left. Toledo has a considerably warm and dry climate during summer and staying well hydrated is essential. If staying hydrated is important, then equally important is finding a good meal. Some typical cuisine of Toledo includes sheep cheese, deer, quail, partridge, and lamb as well as the popular Andalusian cold soups salmorejo and gazpacho. Seafood dishes are harder to come by, given the distance from the sea. Walking down Calle Comercio you are sure to stumble upon a wide variety of bars and restaurants. Wandering off the main street, recommended restaurants include La Abadía (Calle Sillería), an atmospheric bar serving tapas and typical dishes, and Com.Es (Calle Sierpe) which currently serves deer liver pâté and quail salad as part of its menú del día. Beverages such as beer, wine, and tinto de verano (red wine mixed with sparkling lemonade) are ubiquitous, cheap and refreshing. Finally, if you’re looking for typical souvenirs to take home, head inside the shops that sell knives and swords. Toledo is known for metalworking, and thousands of its locally made swords – both large and miniature – are sold to visitors each year. These treasures can be shipped or packaged to carry with you on your journey home. No matter how many souvenirs you buy or how long your stay, the city of Toledo, Spain will leave you enchanted and be forever imprinted in your memory.